FORT WORTH, Tex. -- A Keller, Tex., woman accused in the death of her husband was found guilty of murder on Monday and now faces life in prison, CBS Dallas reports. 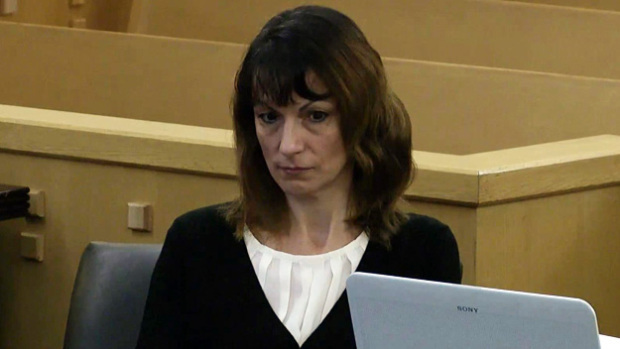 Jurors took nearly seven hours to convict Michele Williams, 45, for the 2011 fatal shooting of her husband Greg, 40. Prosecutors said Williams killed her husband in order to collect insurance money. "This woman killed her husband in cold blood," Tarrant County prosecutor Jack Strickland said in closing arguments on Monday. "She shot him to death in their home, in his bed, with her daughter 10 or 12 or 14 feet away. "Greg was alive and she shot him in the head," said Strickland. "She shot him in the head at point blank range and now he's dead." Strickland argued that Williams had changed her story several times, first telling police a burglar killer her husband, then saying he committed suicide. Defense attorneys tried to convince the jury that Greg Williams actually did kill himself and that his wife had no motive for a murder, and money was not an issue at all. "He brought in over $500,000 in 2010 and over $800,000 dollars in 2011," Graham said in court. "That's more than double what the insurance cash out would have been, so what was her motive? They didn't prove a motive." Williams was also found guilty on one count of tampering with a firearm, but acquitted of tampering with evidence. The sentencing phase is expected to begin for Williams' trial on Tuesday.